Here is a quick blog from our Live Trading Room host, Dan Hussey. Take a look at how to manage your risk by using inflection zones to your advantage. 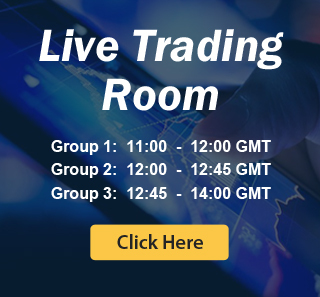 The Live Trading Room is held daily from 11:30 AM EST until 1:30 PM EST, join Dan there for more insight into these proven methods of trading. The $ES_F (SPX futures) traded its equal legs inflection zone in a W-X-Y corrective Elliot Wave structure. We highlighted this area as the next support for the SPX in previous Live Trading Room (and in the daily recap for subscribers). We utilize Elliot Wave in conjunction with technical’s to provide the best Elliot Wave Analysis of the markets. Remember, trading isn’t about how much you make, or being right, its about managing risk and how much you DO NOT LOSE! Regardless of larger Elliot Wave structure or trends, inflection zones have a high probability to trade from their ENTRY areas to their T1 (first target, in this case the 76.4% line). We exploit this statistical advantage by using this inflection to manage our risk, while looking for setups in the direction that the EWF Elliot Wave charts suggest. Join us daily from 11:30 AM EST until 1:30 PM EST.